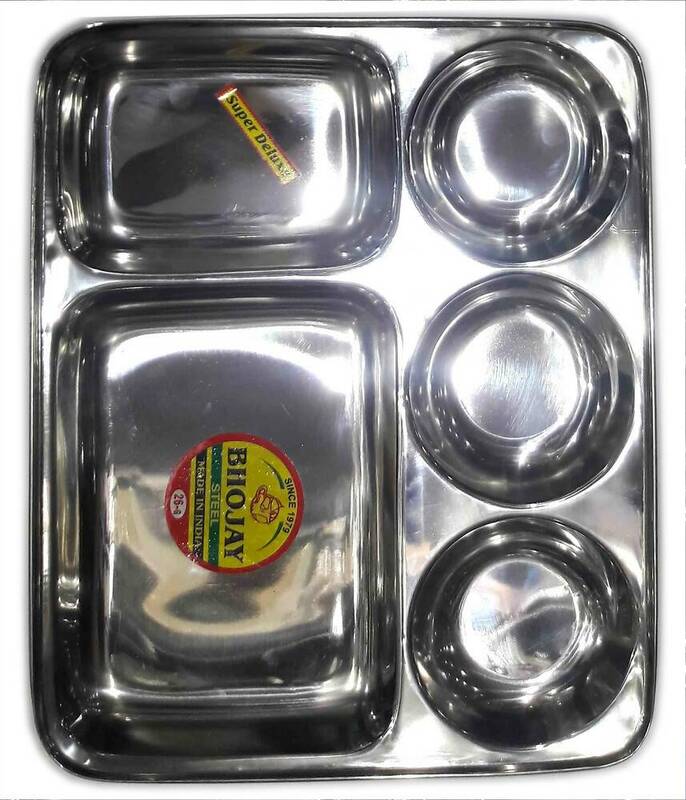 Prasadam Plate for Devotees. 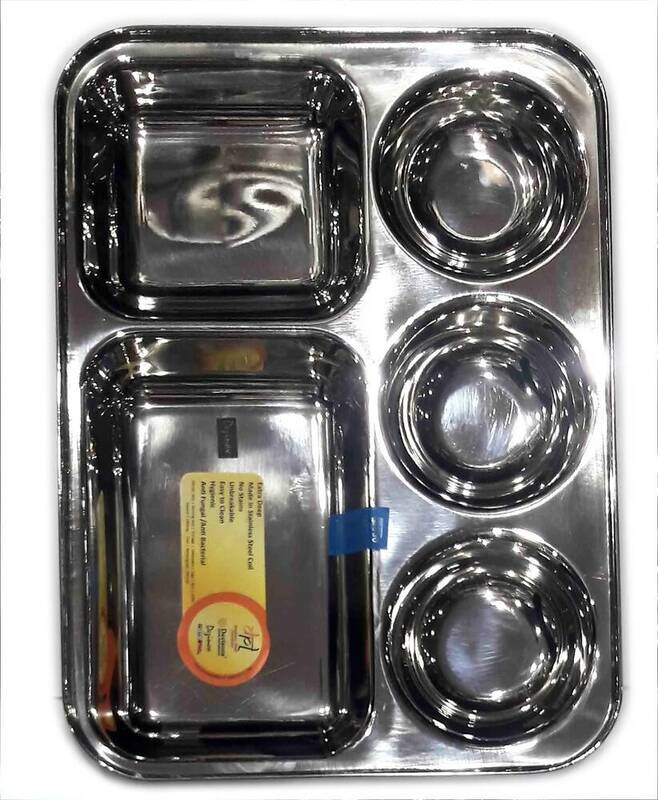 Single plate with 3 embedded round bowls plus 2 rectangular bowls (could be used for rice and space for chapati/roti). Simple and easy without the hassle of having many bowls. Washing is easy and quick. All the bowls have good depth for serving all kinds of eatables. Available in 2 comfortable sizes: Standard (13 x 9.8 inches) and Large (14.5 x 12 inches).